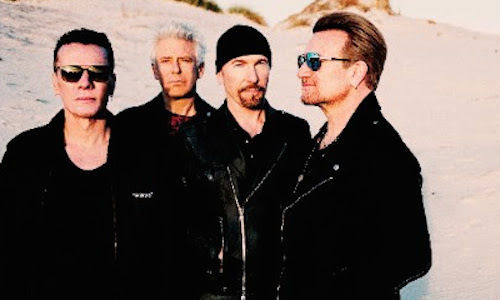 U2 will perform for the first time ever at Harlem’s Apollo Theater. This special invitation-only concert, exclusively for SiriusXM subscribers, will take place Monday, June 11, as announced by Howard Stern during his live SiriusXM show. SiriusXM has presented special, private concerts at the Apollo Theater with Paul McCartney in 2010, Bruce Springsteen in 2012, Metallica in 2013, James Taylor in 2015 and Guns N’ Roses in 2017. SiriusXM subscribers will have the opportunity to win tickets to this private performance through an invitation sent by email. In addition, subscribers since April 25, 2018, will be able to enter for the chance to win a trip for two to New York including airfare, hotel stay and a pair of tickets to SiriusXM Presents U2 at the World Famous Apollo Theater. See Official Rules for complete details here. Tickets for U2’s extensive 2018 tour are available here and here.